Well Autodesk University 2014 is over and everyone has returned home and probably back to work, but it’s not the end well least for me. Being my first AU I was even lucky enough to co-present with Bill Meyer - Senior Applications Engineer FM Systems, one of our partners. So if you came along to our class BO5641 - Revit Modelling for Successful Facilities Management great, if not sorry you couldn’t make it. My highlights over the last few days were taking Marcello Sgambelluri ‘AB7977 - Practically Dynamo: Practical Uses for Dynamo Within Revit’ which I must say was a great class not just because I was looking at Dynamo but because Marcello made it fun. In short time Marcello had he showed everyone in the class how Dynamo can be used live on a project and it’s not just to model an elephant or grasshopper. How many times have you used Revit and wished you could get it to do something better or quicker. Then think well if I learnt how to program in the API you could get it to do what you need it to. Using Dynamo can certainly help you carry out the tasks you don’t think you could. 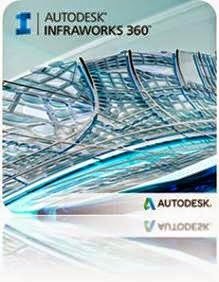 When I saw there was a class ‘FB5474 - Create Structural Shops Drawings and Fabrication Models Using Autodesk Revit’ I was interested to see how and if they are doing this using the out the box tools or 3rd party apps. Once again another great class showing you can create reinforced concrete drawings from Revit within having to use 3rd party apps. Also pointed out using Revit for steelwork fabrication can be done but not the easiest solution, and pointed out they are now looking at Autodesk Advanced Steel. It does appear to me this year Advanced Steel is a product you should be looking at. Do you use or even know about showcase? It’s part of some of the Autodesk Suites and if you haven’t looked at it then get it installed and start using it. sitting in on Matt Dillon’s ‘AB5225 - Showcase Your Architectural Model’ highlighted you don’t need to be an expert in rendering or have to use 3d Max to get high-end renders. I managed to get long to see some of the new tools and enhancements in InfraWorks 360 which I can say this product is going places fast. Some of things it can do now is good but the tools which it’s going to have makes it a must product to be using. I even found the time to get Certified in Revit Architecture 2015.